If you could describe goodness as a taste, it would taste like this recipe. Warn your customers to leave enough room in their stomachs for the rest of their meal. Slice the jalapenos down one side and scrape out the seeds. Whip the cream cheese and place in a piping bag. 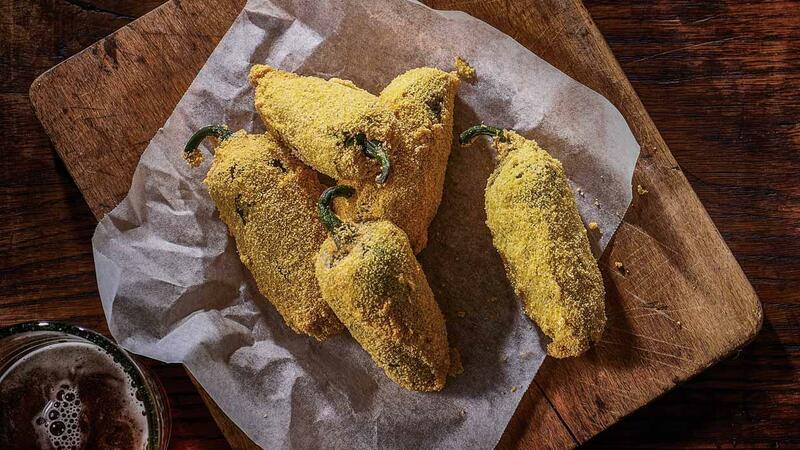 Pipe into the cavities of the jalapenos. Dust jalapenos with corn flour then dip in eggs and finally polenta. Deep fry until golden. Drain and serve.